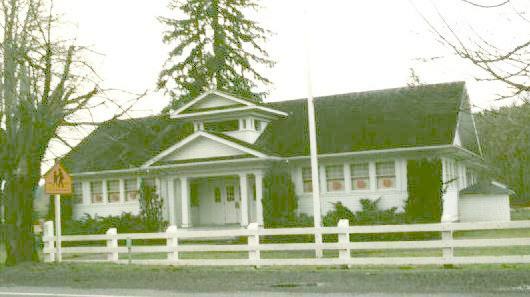 There was a post office called Riverside not far from this community, established about 1874. 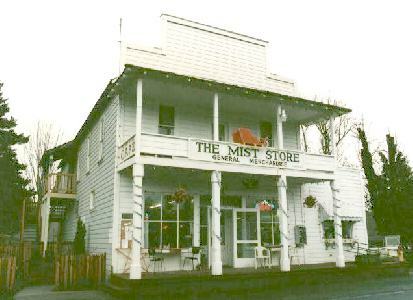 This caused confusion with another place in Oregon with the same name, and in April 1888, the office was moved and the name changed to MIST, describing the atmospheric condition prevailing in the Nehalem Valley. 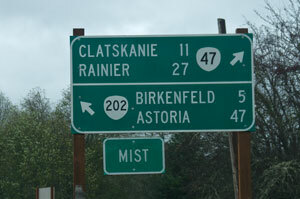 The townsite of Mist was surveyed and platted with the name of Esto. It has never been called Esto. 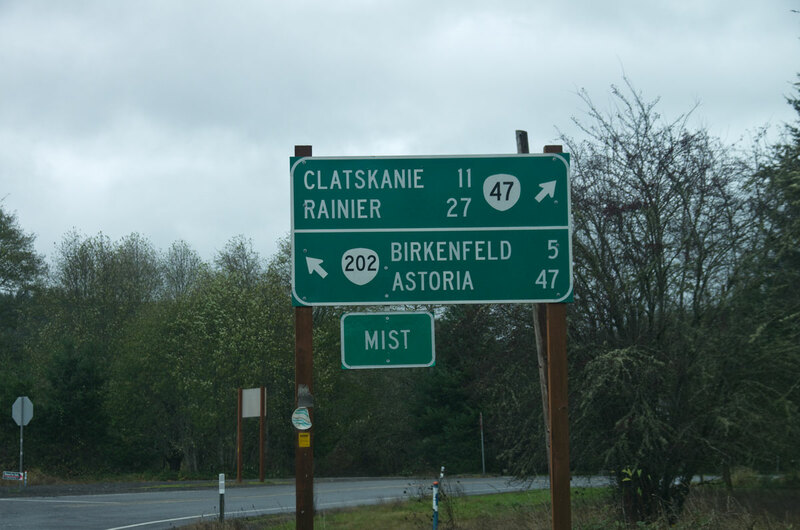 Mist is also where Oregon 47 departs the Nehalem river and turns North and after a winding 11 miles arrives in Clatskanie behind Safeway. From this point, signed as OR 202, the hiway proceeds west down the Nehalem River to Jewell, and thence northwest over a low pass to Olney and Astoria. Early in Oregon history an interior road to Astoria was thought important for military security (as opposed to the Columbia River route) in case an invading navy were to take possession of the mouth of the Columbia, however this concern was obviated by the completion of US 26 west from Portland to Seaside in the 1940's and OR 202 has been of little strategic interest since then. 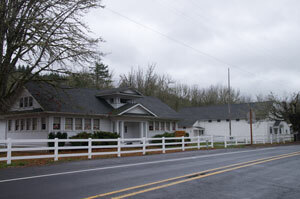 The Mist-Birkenfeld Fire district has its headquarters located midway between Mist and Birkenfeld. It provides fire protection and ambulance services from the end of Vernonia rural fire district downriver until it hooks up with the Elsie-Vinemaple district. 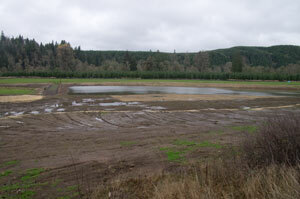 This pond just downriver of the fire station is designed to provide a million gallon reserve of fire fighting water. Ordinarily such a major supply would not be needed for a small sparsely populated district, however, the Mist Gas fields with a significant number of gas wells is within the district making a plan to manage a gas well fire a prudent consideration. The earthen fill dam was completed a few months prior to this photo, and though fed by only a seasonal stream, it is expected to provide around the year water supplies as needed for the district. 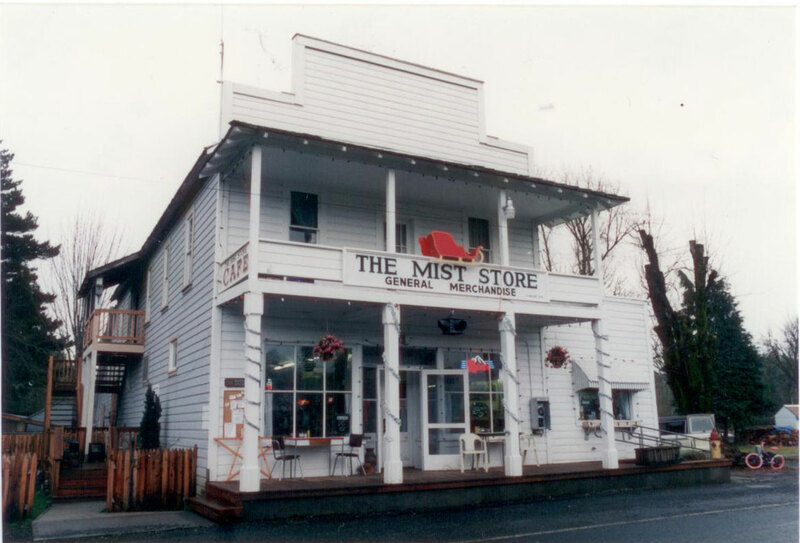 Shown here in the respective photographs are the Mist store and the Mist school. Both are still in use. The store has operated for over a century with little change. It has convenience merchandise and a short order cook on duty. It is popular for coffee and breakfast these days. Update: The Mist Store burned to the ground in the summer of 2001 and has not been rebuilt. 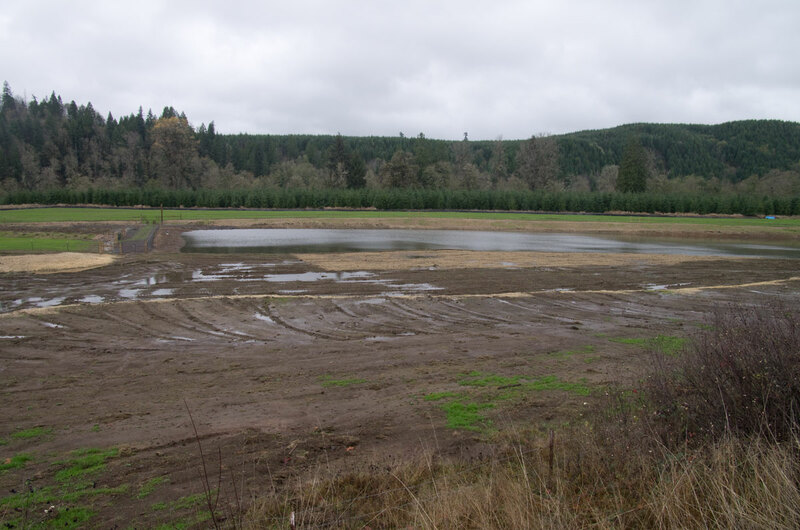 Today the Mist Gas Fields have been developed into the only producing natural gas site in Oregon. The field is not extensive and the pools are modest by world standards. However the gas is found in relatively shallow pockets (2200 feet) with a solid dome above it and salt water below it. The geology is ideal for gas storage for which it has been developed. At nearby Miller station off peak gas is pumped into the ground during much of the year, and during the seasonal peaks, the compressors are reversed and the gas is recovered to augment regional supplies. 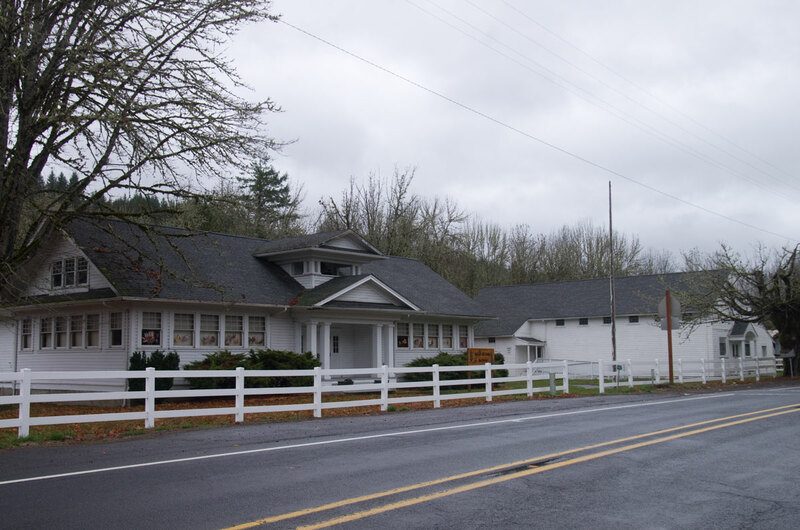 West Oregon Electric maintains a substation near Mist fed by a 115,000 volt West Oregon owned transmission line which interconnects with the Bonneville system at Clatskanie. From the Mist Substation WOEC maintains 3 phase feeders South to Vernonia, and West and South to Elsie. Constructed about 1980, it is one of WOEC's finest substations and has long provided reliable service the Mist and Birkenfeld areas. 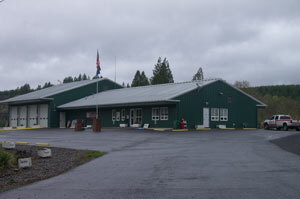 It is located adjacent to the Mist-Birkenfeld Rural Fire Department.